Norwegian architects and immigrants Diedrik Omeyer and Martin Thori designed this home built in 1889. Omeyer and Thori designed a number of other structures currently on the National Register of Historic Places, including courthouses, seminaries, and churches throughout Minnesota, Iowa, South Dakota, Wisconsin, and Montana. The first owner was Rudolf Ertl, a North Side clothier who had a store near Plymouth and North Washington Avenues...just one of the many neighborhood residents to own or work at local businesses. Now a duplex, the home was originally a single-family dwelling. 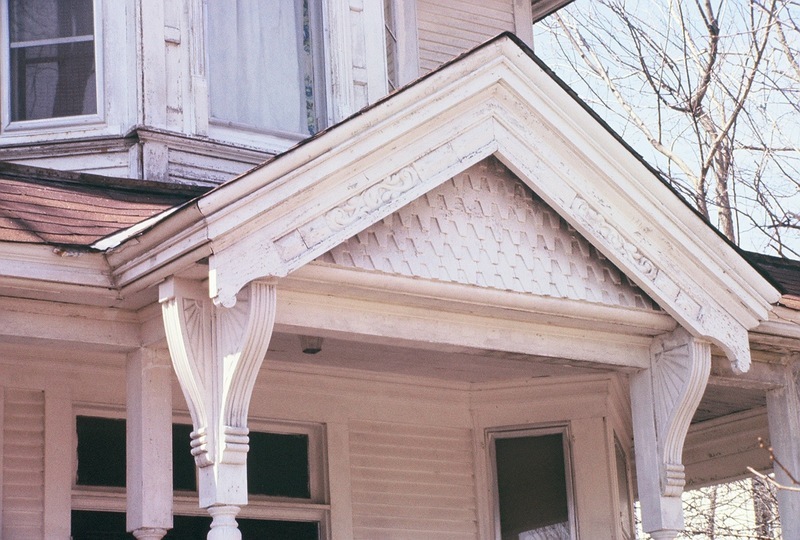 Built toward the end of Minneapolis' "golden age" (late 1870s to 1893), this is one of the most intricately detailed houses in a neighborhood filled with intricate detailing. The double-door front entrance Fred Neet mentions below is especially unique; paired doors liked these were unusual for this area. Work Cited: Neet, Fred. 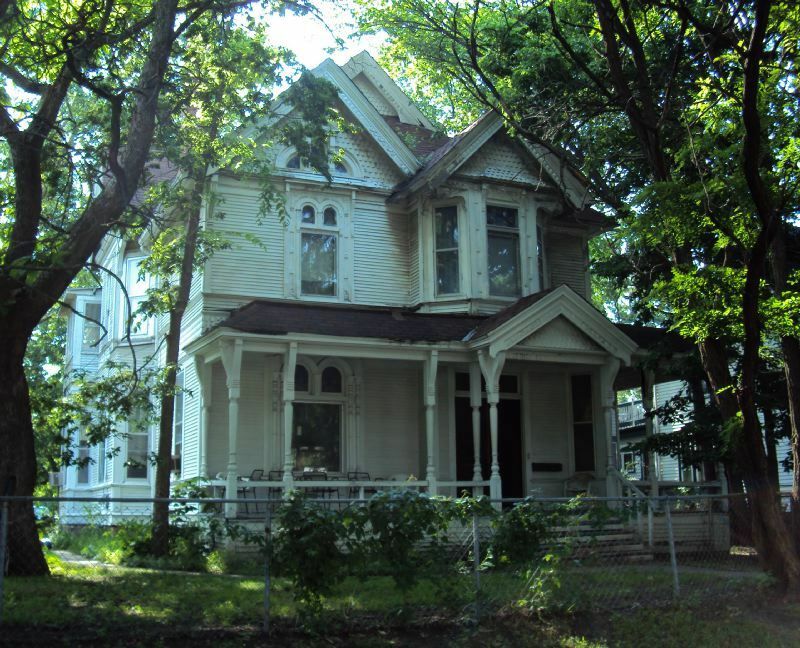 Local Heritage Preservation Designation Study - Rudolph Ertl House. Rep. Minneapolis: Minneapolis Heritage Preservation Commission, 1986. Print. 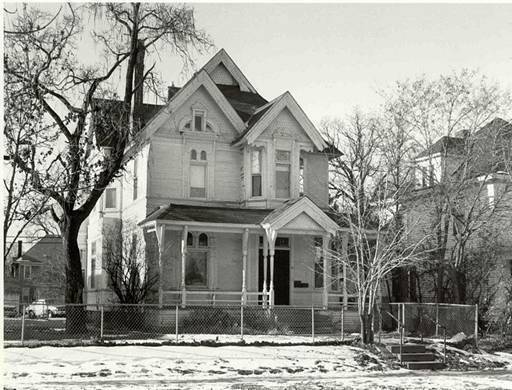 Old Highland Neighborhood Association, “1617 Dupont Avenue North: Randolph Ertl House,” Minneapolis Historical, accessed April 22, 2019, http://minneapolishistorical.org/items/show/17.